I Can Hear Your Voice is a 2013 South Korean television series starring Lee Bo-young, Lee Jong-suk, Yoon Sang-hyun and Lee Da-hee. It aired on SBS from June 5 to August 1, 2013, on Wednesdays and Thursdays at 21:55 for 18 episodes. Lee Bo-young began her career in the industry with winning the Daejeon entry for the Miss Korea beauty pageant in 2000. Having majored in Korean literature at Seoul Women's University, she originally dreamed of becoming a news presenter. She was one of 15 finalists in MBC's annual recruitment drive in 2002, but ended up not getting the job. Instead, she turned to modeling, and was chosen as the exclusive advertising model for Asiana Airlines, considered a gateway to stardom. Daejeon is South Korea's fifth-largest metropolis. Daejeon had a population of over 1.5 million in 2010. Located in the central region of South Korea, Daejeon serves as a hub of transportation and is at the crossroads of major transport routes. The capital Seoul is about 50 minutes away by KTX high-speed train. Seoul Women's University is a private university in Nowon-gu, Seoul, South Korea. The university comprises five colleges and is a doctorate degree-granting institution. Song Il-kook is a South Korean actor. He is best known for his role in the 2006 hit drama series Jumong as the titular character. Save the Last Dance for Me is a 20-episode South Korean television series that aired on SBS from October 23, 2004 to January 2, 2005 on Saturdays and Sundays at 21:45. Starring Eugene, Ji Sung, Ryu Soo-young and Lee Bo-young. The drama revolves around two lovers who don't let amnesia get in the way of their romance. 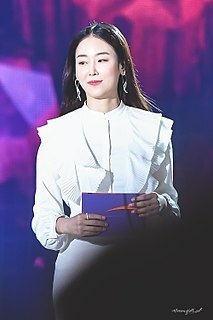 In 2005, Lee played her first leading role in the daily drama My Sweetheart, My Darling,  followed by the Silla-set historical epic Ballad of Seodong with Jo Hyun-jae. She spent the next several years in television dramas — Mr. Goodbye with Ahn Jae-wook,  Queen of the Game with Joo Jin-mo,  and Becoming a Billionaire with Ji Hyun-woo  — but none struck a chord with audiences or critics. Ballad of Seodong is a South Korean television series starring Jo Hyun-jae, Lee Bo-young and Ryu Jin. It aired on SBS from September 5, 2005 to March 21, 2006 on Mondays and Tuesdays at 21:55 for 55 episodes. Jo Hyun-jae is a South Korean actor. Jo made his entertainment debut as a singer in the four-member boy band Guardian, which disbanded after releasing their self-titled album in 1998. In 2000, after he drew popularity when he appeared in a commercial for sports drink Pocari Sweat, Jo began acting. He is best known for his leading roles in Love Letter (2003), Only You (2005), Ballad of Seodong (2005), and 49 Days (2011). My Brother is a 2004 South Korean film written and directed by Ahn Gwon-tae. A Dirty Carnival is a South Korean action film directed by Yoo Ha. It is Yoo Ha's fourth feature film, his previous work being the 2004 drama, Once Upon a Time in High School. Once Upon a Time is a 2008 South Korean film, directed by Jeong Yong-ki and adapted from a screenplay by Cheon Seong-il. The film is a heist comedy film set in 1940s Korea, and stars Park Yong-woo and Lee Bo-young as a con artist and a jazz singer, respectively, who each plot to steal a valuable diamond from the Japanese authorities. Once Upon a Time was the first major investment by SK Telecom's film division, established late 2007, and was released in South Korea on January 30, 2008, under the company's CH Entertainment banner. Hyun Bin is a South Korean actor. He is best known for his leading roles in the television dramas My Name is Kim Sam-soon (2005), Worlds Within (2008), Secret Garden (2010–2011), Memories of the Alhambra (2018–2019); as well as the films Confidential Assignment and The Swindlers (2017). Song Hye-kyo is a South Korean actress. She gained Asia-wide popularity through her leading roles in television dramas Autumn in My Heart (2000), All In (2003), Full House (2004), That Winter, the Wind Blows (2013), Descendants of the Sun (2016) and Encounter (2018). Her film work includes Hwang Jin Yi (2007), The Grandmaster (2013), My Brilliant Life (2014) and The Queens (2015). Kim Hyo-jin is a South Korean actress. Sung Yu-ri is a South Korean actress and singer. She made her entertainment debut in 1998 as a member of the now-defunct K-pop group Fin.K.L. Sung turned to acting in 2002, starring in television dramas such as Thousand Years of Love (2003), The Snow Queen (2006), Hong Gil-dong (2008), and Feast of the Gods (2010). Ji Sung is a South Korean actor. He is best known for his roles in the television dramas All In (2003), Save the Last Dance for Me (2004), New Heart (2007), Protect the Boss (2011), Secret Love (2013), Kill Me, Heal Me (2015), Innocent Defendant (2017), Familiar Wife (2018), and the film My PS Partner (2012). Jo In-sung is a South Korean actor. He is best known for his leading roles in the television series What Happened in Bali (2004), That Winter, the Wind Blows (2013), and It's Okay, That's Love (2014), as well as the films The Classic (2003), A Dirty Carnival (2006), A Frozen Flower (2008) and The King (2017). Han Hye-jin is a South Korean actress. Han made her breakthrough in 2005 when she starred as a young widow in her 20s working as an outgoing hairdresser in the hit daily drama Be Strong, Geum-soon!. Among her notable leading roles include Soseono in historical epic Jumong, Korea's first female doctor of Western medicine in Jejungwon, and a sharpshooter in the manhwa film adaptation 26 Years. She also hosted the popular talk show Healing Camp, Aren't You Happy from 2011 to 2013. Lee Yoon-ji is a South Korean actress. After making her acting debut in the sitcom Nonstop 4, Lee has starred in the television series Pure 19 (2004), Princess Hours (2006), Dream High (2011), The King 2 Hearts (2012), and Wang's Family (2013). She also appeared in season 1 reality-variety show We Got Married (2008-2009), as well as the romantic comedy film Couples (2011). Shin Se-kyung is a South Korean actress, singer and model. She started as a child actress and had her breakthrough in 2009 with the sitcom High Kick Through the Roof. Since then she starred in the films Hindsight (2011), R2B: Return to Base (2012) and Tazza: The Hidden Card (2014), as well as the television series Deep Rooted Tree (2011), The Girl Who Sees Smells (2015), Six Flying Dragons (2015-2016), The Bride of Habaek (2017) and Black Knight: The Man Who Guards Me (2017–2018). Hwang Jung-eum is a South Korean actress and singer. Lee Min-jung is a South Korean actress. She began her career in Jang Jin's stage plays, and for a few years appeared in supporting roles on film and television. She became known after her appearance in Boys Over Flowers (2009), and landed her first lead role in family drama Smile, You (2009). Lee achieved widespread recognition for her leading role in the romantic comedy Cyrano Agency (2010). She also starred in Wonderful Radio (2012), Big (2012), Cunning Single Lady (2014) and Come Back Mister (2016). Seo Hyun-jin is a South Korean actress and singer. Seo debuted as the main vocalist of South Korean girl group, M.I.L.K in 2001 and continued until the group disbanded in 2003. She contributed songs as a solo artist after the group disbandment before she transitioned into acting in 2006. Nam Ji-hyun is a South Korean actress who successfully transitioned from being one of the industry's premiere child artists to an acclaimed lead, well-loved for her roles in Queen Seondeok, Shopping King Louis, Suspicious Partner and 100 Days My Prince. Park Si-hoo is a South Korean actor. He began his entertainment career as an underwear model and stage actor, then made his official television debut in 2005. After several years in supporting roles, Park rose to fame in 2010 with the popular romantic comedy series Queen of Reversals and Prosecutor Princess. This was followed by leading roles in period drama The Princess' Man (2011) and thriller film Confession of Murder (2012). Yoo In-na is a South Korean actress and DJ. After supporting roles in High Kick! Through the Roof (2009-2010) and Secret Garden (2010), she rose to fame as the lead actress in Queen and I (2012), which led to a supporting role in My Love from the Star (2013-2014). She is also known for her roles in Guardian: The Lonely and Great God (2016–2017), one of the highest rated cable television series in South Korea. If Tomorrow Comes is a South Korean television series starring Seo Woo, Go Doo-shim, and Ha Seok-jin. A drama about the love and conflict between a mother and daughter, it aired on SBS from October 29, 2011 to April 22, 2012 on Saturdays and Sundays at 20:40 for 51 episodes. Kim Ji-won is a South Korean actress. She gained attention through her roles in television series The Heirs (2013), Descendants of the Sun (2016) and Fight for My Way (2017). The Heirs, also known as The Inheritors, is a South Korean television series starring Lee Min-ho, Park Shin-hye and Kim Woo-bin. Written by Kim Eun-sook, the drama is set in a high school populated by the privileged and uber-rich. It aired on SBS from October 9 to December 12, 2013. ↑ "국문과 출신 배우 이보영, 에세이 '사랑의 시간들' 펴내". Sports Seoul (in Korean). 19 June 2015. ↑ "10LINE, 이보영". 10Asia (in Korean). 9 August 2013. ↑ "2000 Miss Korea - Lee Bo-young". 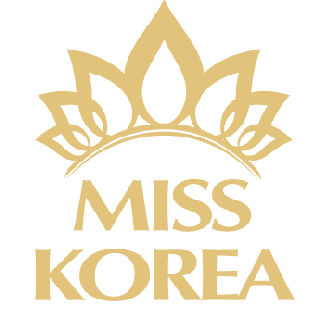 Miss Korea - Hankook Ilbo (in Korean). Archived from the original on 2014-02-22. Retrieved 2013-07-10. 1 2 "Lee Bo-young Discovers Joy of Acting". The Chosun Ilbo . 13 October 2012. Retrieved 2013-07-10. ↑ "Start off your Sunday Mornings... in a Warm Garden Village". The Dong-a Ilbo . 30 December 2003. Retrieved 2013-07-10. ↑ "이보영, "저 같으면 다른 남자 만나요"". Yonhap News Agency (in Korean). 19 November 2004. ↑ "Lee Bo-young Tries Her Skills as Sweet Darling". KBS Global. 11 February 2005. Retrieved 2013-07-10. ↑ "조현재 이보영, 서동과 선화공주에 캐스팅('서동요')". My Daily (in Korean). 22 June 2005. ↑ "안재욱·이보영 주연의 드라마 '미스터 굿바이'". Yonhap News Agency (in Korean). 17 May 2005. ↑ "주진모-이보영, '게임의 여왕'서 증오 어린 사랑". Osen (in Korean). 19 June 2006. ↑ "Gays, girls, gobs of cash hit airwaves". Korea JoongAng Daily . ↑ "탤런트 이보영 '우리형'서 신하균, 원빈과 연기 호흡". Newsis (in Korean). 27 February 2004. ↑ "이보영 '비열한 거리' 곧 촬영돌입". Spots Khan (in Korean). 18 December 2005. ↑ Yi, Chang-ho (29 January 2008). "Once upon a Time shines bright". Korean Film Council. Retrieved 2013-07-10. ↑ Lee, Hyo-won (13 January 2009). "Kwon Sang-woo Resumes Romantic Role". The Korea Times . Retrieved 2013-07-10. ↑ Lee, Hyo-won (5 March 2009). "More Than Blue Is Poetic, Luminous". The Korea Times . Retrieved 2013-07-10. ↑ Lee, Ji-hye (16 November 2009). "Hyun Bin's Happy is unhappy". 10Asia. Retrieved 2013-07-10. ↑ Yoon, Hee-seong (5 March 2010). "INTERVIEW: Actress Lee Bo-young". 10Asia. Retrieved 2013-07-10. ↑ "Athena to sneak into homes this month". The Korea Times . 30 November 2010. ↑ "Shin Ae-ra, Lee Bo-young, Seo Young-hee take over the screens". Hancinema . 7 July 2011. ↑ Jeon, Ji-young (7 May 2012). "Um Tae Woong and Lee Bo Young Begin Romance". KBS Global. Retrieved 2013-07-10. ↑ Choi, Eun-hwa (20 August 2012). "Park Hae Jin and Lee Bo Young Cast for My Daughter So Young". enewsWorld. CJ E&M. Retrieved 2012-11-19. ↑ Hong, Grace Danbi (4 March 2013). "My Daughter Seo Young Concludes with the Warmth of Family". enewsWorld. Retrieved 2013-07-10. ↑ Lee, Eun-ah (2 August 2013). "Lee Jong-suk's Voice Closes Curtains Atop TV Charts". 10Asia. Archived from the original on 29 March 2014. Retrieved 2013-08-03. ↑ Jang, Seo-yoon (31 May 2013). "Courtroom Drama Meets Fantasy Romance for SBS drama I Can Hear Your Voice". 10Asia. Archived from the original on 13 April 2014. Retrieved 2013-07-10. ↑ Yang, Seong-hee; Lee, Sun-min (5 July 2013). "Drama gives Voice to unique storylines". Korea JoongAng Daily . Retrieved 2013-07-10. 1 2 Lee, Cory (2 January 2014). "Lee Bo-young Grabs 1st Top Prize at the 2013 SBS Drama Awards". 10Asia. Archived from the original on 28 March 2014. Retrieved 2014-01-05. ↑ Park, Sunghee (2 January 2014). "2013 SBS Drama Award, Lee Bo Young, To Win the Grand Award". BNTNews. Retrieved 2014-06-20. ↑ "Couple on the list of actors of the year". The Korea Times . 18 December 2013. ↑ Lee, Cory (9 January 2014). "Lee Bo-young to Make TV Comeback Next Month". 10Asia. Archived from the original on 28 March 2014. Retrieved 2014-01-30. ↑ Lee Sun-min (9 January 2014). "Lee Bo-young confirms role in 'God's Gift'". Korea JoongAng Daily . ↑ Chung Jin-hong (27 January 2017). "SBS drama 'Whisper' announces cast of stars". Korea JoongAng Daily . ↑ "Lee Bo-young Returns to TV with New Crime Thriller". The Chosun Ilbo . 29 March 2017. ↑ "Actress Lee Bo-young Will Be Playing Another Strong-willed Mother Role in 2018". Hancinema. TV Report. 26 July 2017. ↑ "Lee Bo-young finds a new voice as a 'Mother'". Korea JoongAng Daily. 31 March 2018. ↑ "Lee Bo-young Reflects on Role as Mother". The Chosun Ilbo. 24 March 2018. ↑ "Lee Bo-young to Promote UN Environmental Conference". The Chosun Ilbo . 24 June 2011. Retrieved 2013-07-10. ↑ Kim, Tae-gyu (1 July 2011). "Desertification happening just next to us". The Korea Times . Retrieved 2013-07-10. ↑ "Ji Sung, Lee Bo-young Secretly Donate W100 Million for Sick Children". The Chosun Ilbo . 21 April 2017. ↑ "Lee Bo-young's big donation revealed". Korea JoongAng Daily . 9 January 2015. ↑ Jin, Min-ji (6 June 2015). "Lee Bo-young reviews books". Korea JoongAng Daily . Retrieved 2015-06-09. ↑ Hwang, Sul-hee (22 Nov 2017). "SBS 측 "신동엽·이보영, 2017 연기대상 MC 유력"". My Daily. Retrieved 2017-11-24. ↑ "이보영, 2013 SBS 연기대상 MC '확정'". Star News (in Korean). 11 December 2003. ↑ Park, So-yeon (18 November 2009). "Ji-sung's girlfriend Lee Bo-young not ready for marriage". 10Asia. Retrieved 2013-07-10. ↑ Hong, Lucia (31 May 2012). "Ji Sung, Lee Bo-young deny June wedding rumor". 10Asia. Retrieved 2013-07-10. ↑ Sunwoo, Carla (1 June 2012). "Lee Bo-young, Ji Sung agencies dismiss rumors of wedding plans". Korea JoongAng Daily . Retrieved 2013-07-10. ↑ "Celebrity Couple Attend Psy's Concert". The Chosun Ilbo . 14 August 2012. Retrieved 2013-07-10. ↑ An, So-hyoun (2 August 2013). "Lee Bo Young and Ji Sung to Get Married in September". enewsWorld. Retrieved 2013-08-03. ↑ Lee, Sun-min (3 August 2013). "A hand-written engagement". Korea JoongAng Daily . Retrieved 2013-08-03. ↑ Lee, Eun-ah (2 August 2013). "Lee Bo-young, Ji Sung to Tie the Knot on September 27". 10Asia. Archived from the original on 29 March 2014. Retrieved 2013-08-02. ↑ "Lee Bo-young, Ji Sung to Wed in September". The Chosun Ilbo . 2 August 2013. Retrieved 2013-08-02. ↑ Suh, Hye-rim (2 August 2013). "Star couple Lee Bo-young, Ji Sung to wed in September". The Korea Herald . Retrieved 2013-08-03. ↑ Hong, Grace Danbi (21 September 2013). "Lee Bo Young and Ji Sung Are Happy and in Love in Wedding Shoot". enewsWorld. Retrieved 2013-09-28. ↑ Hong, Grace Danbi (24 September 2013). "Lee Bo Young and Ji Sung Invites Wedding Guests to Their Star". enewsWorld. Retrieved 2013-09-28. ↑ Jeon, Su-mi (27 September 2013). "Lee Bo Young and Ji Sung to Tie the Knot Today (9/27)". enewsWorld. Retrieved 2013-09-28. ↑ "Star couple Lee Bo-young and Ji Sung pose at their wedding at a hotel in Seoul on Friday". The Chosun Ilbo . 28 September 2013. Archived from the original on 28 September 2013. Retrieved 2013-09-28. ↑ Lee, Hye-ji (27 September 2013). "Actors Ji Sung, Lee Bo-young Tie the Knot (2)". 10Asia. Archived from the original on 29 March 2014. Retrieved 2013-09-28. ↑ Kim, Byung-kwan (27 September 2013). "Ji Sung and Lee Bo Young Tie the Knot". enewsWorld. Retrieved 2013-09-28. ↑ Sung, So-young (25 November 2014). "Lee Bo-young is 10 weeks pregnant". Korea JoongAng Daily . Retrieved 2014-11-26. ↑ Jin, Min-ji (15 June 2015). "Lee Bo-young has a baby girl". Korea JoongAng Daily . Retrieved 2015-06-15. ↑ "SBS, 새 주말드라마 '백수탈출', 문제투성이 대가족의 인생역전". Financial News (in Korean). 10 April 2003. ↑ "탤런트 이보영, SBS '애정만세' 합류". Newsis (in Korean). 2 March 2004. ↑ "이보영, "부산 사투리요? 노래를 했죠."". Yonhap News (in Korean). 7 October 2004. ↑ "<연합인터뷰> '어여쁜 당신' 주연 이보영". Yonhap News (in Korean). 6 February 2005. ↑ "잇시티 이보영의 카페 이탈리아". Cine21 (in Korean). 2013. ↑ "이보영, 지아-포맨 '울고불고' 뮤비서 '폭풍' 눈물연기". Newsen (in Korean). 14 October 2010. ↑ "이보영 "사극, 연기경력 짧은 제겐 버거운 작업"". Star News (in Korean). 2 January 2006. ↑ "조현재 이보영, SBS '10대스타상' 1위 질주중". Star News (in Korean). 25 December 2005. ↑ "김아중 이보영 한지민, '2005 KBS 연기대상' 여자 신인연기상". Star News (in Korean). 31 December 2005. ↑ "엄태웅-이보영, 춘사영화제 남녀 신인상!". inews24 (in Korean). 27 October 2006. ↑ "'하늘이시여' 한혜숙, 'SBS 연기 대상' 수상". Nocutnews (in Korean). 1 January 2007. ↑ Garcia, Cathy Rose A. (1 May 2007). "Top Stars Win Andre Kim Awards". The Korea Times . Retrieved 2013-07-10. ↑ Garcia, Cathy Rose A. (29 November 2009). "Stars Shine at Andre Kims Atelier". The Korea Times . Retrieved 2013-07-10. ↑ Ko, Kyoung-seok (3 January 2011). "Ko Hyun-jung wins grand prize at SBS Drama Awards". 10Asia. Retrieved 2014-07-20. 1 2 "이보영, KBS 연기대상 2관왕 "상복터졌네~"". WowTV (in Korean). 2 January 2013. ↑ Im, Woo-jung (3 October 2013). "Lee Bo-young wins 2013 Korea Drama Awards". The Korea Herald . Retrieved 2014-01-06. ↑ "Lee Bo-young wins big at TV drama awards". Korea JoongAng Daily . ↑ "Song wins top Star award". Korea JoongAng Daily . 18 November 2013. ↑ "이보영 신혼생활 묻자 "아침 잘 해주고 있어" 함박웃음". JTBC (in Korean). December 19, 2013. ↑ "Song Gang-ho, Jun Ji-hyun get top nods at Baeksang Awards". The Korea Herald . ↑ "'제1회 더 서울어워즈' 노미네이트 공개, 이보영 지성 김희선 조승우 등 화려한 라인업 공개". SE Daily (in Korean). 28 September 2017. ↑ "Ji Sung receives grand prize while wife receives best actress award". The Korea Times. 2 January 2018. ↑ "제54회 백상예술대상, TV·영화 각 부문별 수상 후보자 공개". JTBC (in Korean). 6 April 2018. ↑ "Lee Bo-young wins best actress at drama awards". The Korea Times. 4 September 2018. ↑ "이병헌·손예진·아이유 APAN스타어워즈 노미네이트". Star News (in Korean). 27 September 2018. Wikimedia Commons has media related to Lee Bo-young .